Cellular jail, one of the biggest jail in Asia, is now a national monument located at Atlanta point. It has got a museum exhibiting the then prison life. Evening (5.30pm) there will be sound and light show about the historical events regarding this place. 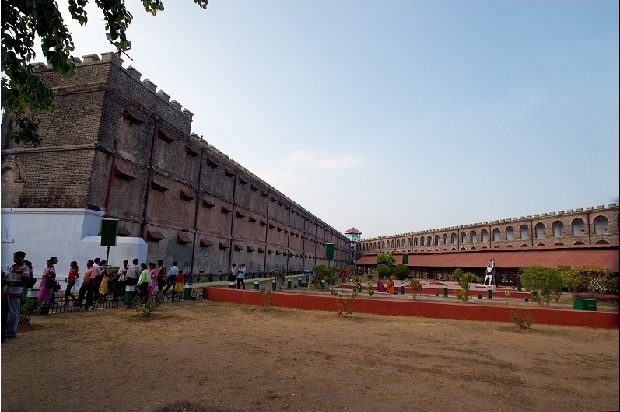 In the standard package of Andaman, Cellular jail will be visited for 2-3 hours (during evening). Opposite to the jail there is a park and people can relax. The phoenix bay jetty is located just in front of the jail. The entry fee for Cameras inside the jail premesis is not included in any standard tour package of Andaman trip. An INR 30 for still and INR 50 for video is to be paid at the main entrance of the jail. People willing to visit Cellular jail independantly can visit by taking the ticket of INR 20 (for light and sound show) at the main entrance. The normal visiting hours for jail is from 9.00am to 5.00pm. All visitors have to come out from the jail and wait outside the gate till 5.30. Purchase the ticket during this time and stand in the queue. From the top of the jail, visitors can view Ross island and North Bay island. 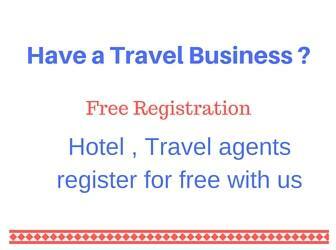 my self sanjay from bhiwani haryana.i came portblair this 28 june to 3 july. i like it very much. i want to song which is sang in celluler jail ligh and soud show. koi mata ki umido pe na fere pani.. plz send me link of this song or provide me path of song..